Jeffrey L. Nash is founder of The Nash Law Group, a general practice law firm based in Camden, NJ. 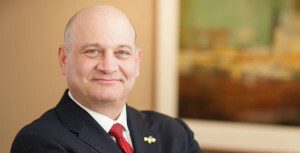 Prior to forming The Nash Law Group, Jeff was a senior partner and shareholder at the prestigious Philadelphia-based law firm of Cozen O'Connor, where he specialized in civil litigation and government relations since 1986. As the leader of Cozen O’Connor’s nationally renowned insurance subrogation practice, Jeff handled large-loss property cases for most of the nation’s largest insurance carriers. In addition to his work as a litigator and trial attorney, Jeff worked with the firm’s leadership to establish Cozen O’Connor’s Public Strategies, a bi-partisan government relations firm that helps clients navigate the complex maze of policy and process. Jeff’s clients have included some of the nation’s top real estate investment trusts, energy and infrastructure organizations, health care providers and insurance companies, among others. Jeff is also a long-standing elected leader, currently serving as member of the Camden County Board of Chosen Freeholders, to which he was first elected in 1991 after serving as a member of Cherry Hill Township Council for three years. Creation of the nationally acclaimed Child Immunization Program, a life-saving initiative that has administered thousands of free immunizations to children throughout the county. Initiation of the "Tech 2000” program, a unique partnership between Camden County and the county’s school districts, which provided for a computer in every classroom in the county by the year 2000. Preservation of 2,000 acres of open space. Launch of the Sustainable Camden County Program to promote sustainability initiatives and best practices at every level. Revitalization of Camden City, including the rebuilding of several city parks and elimination of hundreds of blighted structures to enhance public safety and improve neighborhoods. Launch of the new Camden County Police Department, a nationally acclaimed law enforcement initiative publicly applauded by President Obama. Establishment of greater accountability requirements for DRPA officials and personnel. Demolition of the Riverfront State Prison, making way for the transformation of the city's North Camden neighborhood (accomplished by working closely with the residents of Camden and the Governor).